Happy First Day of Summer! 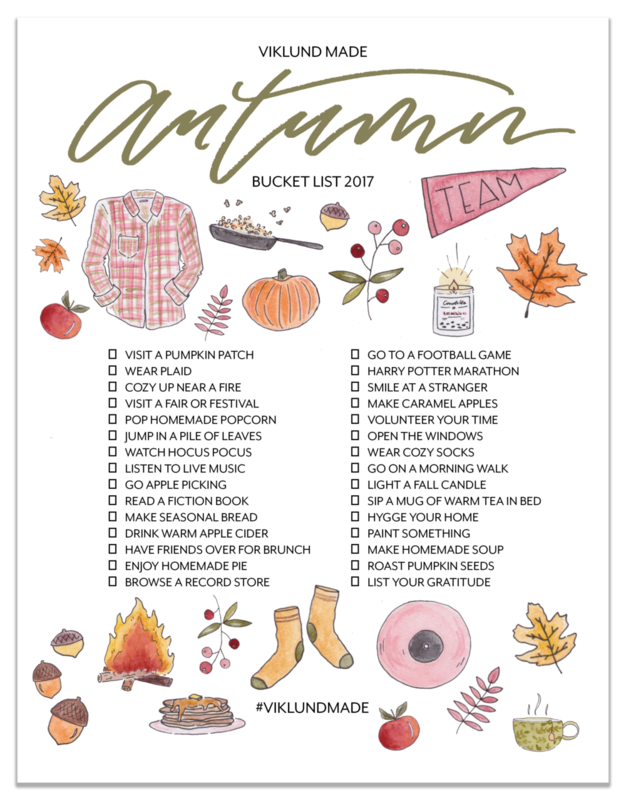 I wanted to do something fun to truly savor the spirit of summer this year, so I created a summer bucket list that you can print off & join in on. You can CLICK HERE to download the bucket list & print it off easy-peasy on an 8.5x11 sheet of paper. To keep the fun alive all summer long I’ll be giving away a custom illustration EVERY MONTH of summer! That’s one winner for June, one for July, & one for August. To enter all you will have to do is post a picture of something from the bucket list that you’re doing & tag me + use the hashtag #VIKLUNDMADE & #SUMMERBUCKETLIST2017 & that counts as one entry. You can literally enter an endless amount of times just for having fun & sharing what you’re up to!! On the last day of each month I’ll choose a winner from the photos that followed the outlined guidance to receive a custom portrait... fo’ free. Since there are only 10 days left for June I’ll be picking a June winner soon, so hop to it amigos & let's have some fun! Giveaway details: One winner chosen June, July & August. Must have posted an image of something being done from the bucket list, tagged @brittanyviklund on Instagram & used both hashtags on the image. Additional contest entries can be made for tagged friends on original Instagram contest post. Custom illustration prize includes one The Basic package illustration with up to 6 characters & free shipping for residents living in the US. The contest is not endorsed or sponsored by Instagram & is independently hosted by Brittany Viklund of Viklund Made. Hey! Hola! Welcome! & howdy! If you’ve ended up here by way of my Happy Brittany days, I am glad to have you back & thanks for sticking around. If you’ve ended up here through another avenue, I’m glad you are here & I hope you find something meaningful or enjoyable. I know you couldn’t have arrived here by accident because Viklund is really hard to spell unintentionally (even I am guilty of including the added “c” for the first 2-ish months of my relationship with my husband, before I took Viklund on as my own) so… thanks for being here on purpose. When thinking through what I wanted in a website & brand, it was really important to me to have a space to blog. And it actually makes a ton of sense given the fact that I identify as a maker. Enter VIKLUND MADE. Simply put- a place for all things made. The art of making has become second nature to me. I see opportunities to make something multiple times a day. On a blank sheet of paper. With ingredients in my pantry. In an empty room. I even see non-tangible opportunities to make things. Like making my mind up about how I choose to feel in a given moment. Or making life a little easier with an organizational strategy. Or, making my skin happy with a practiced skincare routine. I believe that making a life for oneself (especially a dream life) involves the ability to make something of both the tangible & intangible. Take a look around. Learn a little more about me. Treat yo’self. Or drop me a line to let me know what you think, why you’re here, or share something you’re hoping to make or learn (maybe I can help?). I am so excited & proud of this new space for my work. & I couldn't begin this journey without a virtual shout out to my incredible brand & web designer Mattie Tiegreen of Green Tie Studio. Ya’ll, we spent MONTHS dreaming & scheming up Viklund Made. I’m kind of an all-over-the-place human (you know the type) & the way Mattie was able to take all of my thoughts, dreams & ideas & string them into this beautiful, cohesive brand is pure MAGIC. She is incredible. Welcome to Viklund Made. Something tells me if you’ve found your way here & read this post, you’re in the business of making too, so I’m glad to have you along.